"Sportin' Wood" [US Edition] will be released on Thursday 6th March via Northside Records and is priced at $12 [plus P+P]. The CD can be ordered either by email [payment to Paul Armstrong via PayPal] at rangefinder@earthlink.net or by post [via cheque] to: Northside Records, 1420 Boston-Providence Highway, Suite #275, Norwood, MA 02062, USA. Customers outside of the US should add $5 to cover post and packing costs. 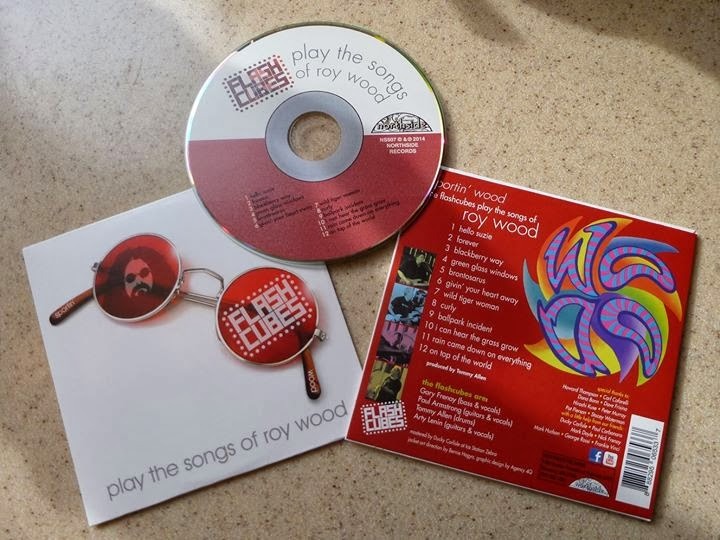 ELO Beatles Forever [ELOBF] recommends "Sportin' Wood" [US Edition] by The Flashcubes to those enlightened folks who enjoy the music of ELO, Jeff Lynne, Roy Wood, Wizzard, The Move, The Idle Race, 'Brum Beat', The Beatles and related artistes.